Debra C. Pickett | Executive Financial Group, Inc.
Began her Insurance Career in April of 1988. Focusing on Long Term Care, Medicare Supplements and Medicaid planning. Debbie has also taught insurance pre-licensing at LSU-Shreveport. Prior to entering the Insurance Industry she was an Assistant Vice President with First Federal Savings & Loan Association. Debbie works with a group of insurance professionals at Executive Financial Group here in Shreveport. Between them they have well over 100 years of experience in the Financial and Insurance Industry. Debbie is a Senior Advisor with Premier Senior Solutions an affiliate of Executive Financial Group. As a Senior Advisor Debbie specializes in Medicare Supplement policies, Medicare Advantage Plans, Medicare Part D Plans, Long Term Care Policies, Single Premium Annuities and Life Insurance. She is a past President of the Shreveport Association of Insurance and Financial Advisors. For the year 2006 she was presented the Felix Arceneaux Distinguished Service Award. She has also been active in the American Business Women’s Association and was Woman of the Year in 1998 for the OrNoir Chapter. She has been a member of CHEN, (Community Healthcare Education Network,) since 2009. 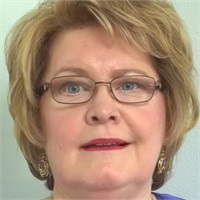 She currently serves on the board as Treasurer. I take pride in looking for the best product for the best price for each client. I do not believe in a one size fits all approach to protecting your financial situation.